There is no need to rebuild the tasks of a project manually and enter the parameters all over again. 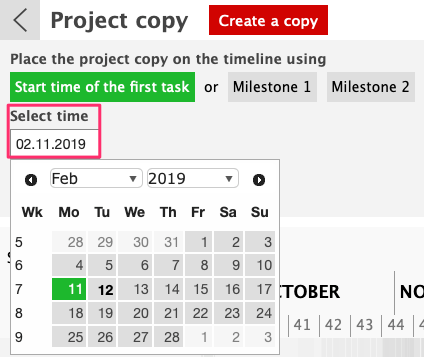 'Copy Project' function copies the entire project along tasks and project settings, adding an extra separate view/tab. 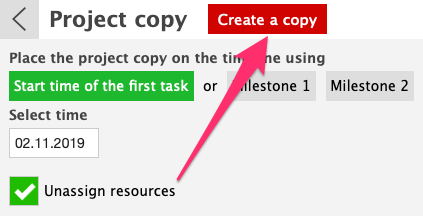 Using "Copy Project" feature is handy if future projects have mostly similar tasks and/or resources. Copying the project and its tasks while detaching the original resources is an option too. There is no limit on how many copies you can create of a project. You can access them from the Project List. This will open the Project's settings dialog. 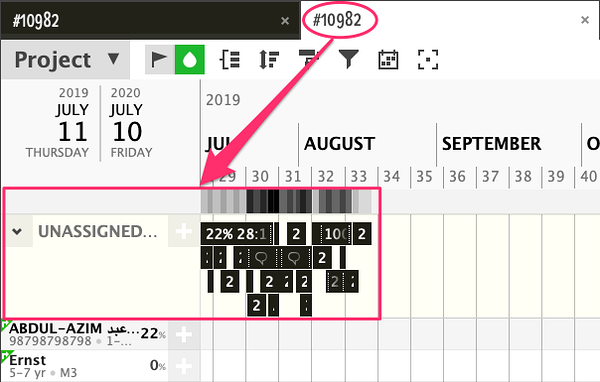 Project Data Fields that are used for visual Project Milestones. 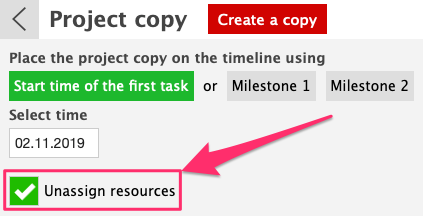 If you want to detach the copied Tasks from the original Resources then tick the 'Unassign resources' box. This will place the Tasks to the 'Unassigned Tasks' section of the single Project View. The copy of the Project has been created. You can see the second tab/Project View with the copied Tasks placed in the 'UNASSIGNED TASKS' section. 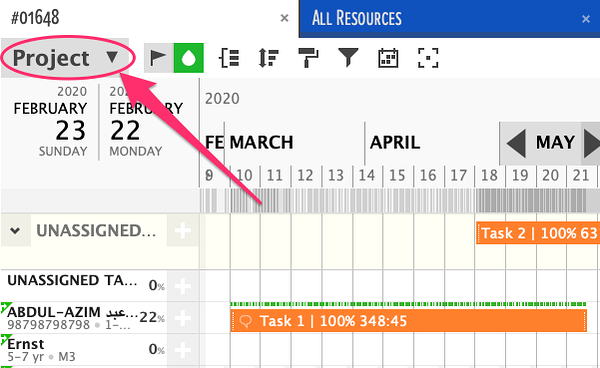 You can now reschedule the Tasks to desired Resources manually by drag and drop or by using the + icons on the right of Resources titles. Now, open the Project Settings dialog and change the title, Data Field values etc. Click on 'Save' upon completion. Did not find the answer to your question regarding filtering projects?